The man who led his team from worst to first, changed the culture of the clubhouse, became a face of respectability, never ballroom danced and has his team in the World Series is now the manager of the year. 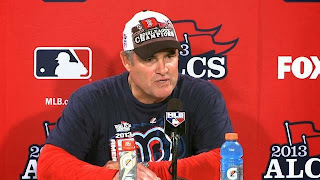 Tuesday, The Sporting News named Red Sox skipper John Farrell their American League Manager of the Year for 2013. Just a year removed from a 90 loss season, Farrell took over a disgruntled clubhouse and a defecting fanbase and led the Sox to baseball's best record and the American League pennant. Voting was conducted by a panel of 19 major league managers. 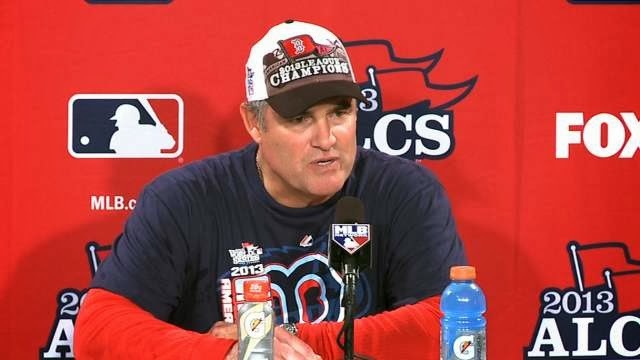 Farrell received five votes, two more than Indians and former Sox manager Terry Francona. Bob Melvin of the A's and Ron Washington of the Rangers each received one vote apiece. The Sporting News named Clint Hurdle of the Pittsburgh Pirates the NL Manager of the Year. Hurdle led the Pirates to the playoffs for the first time in 20 years this season.